Designing and building a Passive House requires integrated design. Integrated design is a collaborative method for designing buildings. Conventional building design usually involves a series of hand-offs from owner to architect, from builder to occupant. This path does not invite all parties into the planning process, and therefore does not take into account their needs, areas of expertise or insights. When using the conventional method, design conflicts are not discovered until late in the building process when it is expensive to make changes. Conversely, integrated design process requires multidisciplinary collaboration, including key stakeholders, contractors, and design professionals, from conception to completion. In addition to extensive collaboration, integrated design involves a “whole building design” approach. A building is viewed as an interdependent system, as opposed to an accumulation of its separate components (site, structure, systems and use). The goal of looking at all the systems together to make sure they work in harmony rather than against each other. Integrated design has evolved in conjunction with the rise of multidisciplinary design firms and sustainable design. It frequently begins with a charrette or eco-charrette, an intensive design workshop, in which many stakeholders gather to set goals and identify strategies for achieving the desired outcomes. Richard Pedranti Architect is a full service architecture firm focused on energy efficient residential design in northeast Pennsylvania, Philadelphia, and New York. Our design approach is based on combining a deep appreciation for the natural environment and a dedication to simple, functional, comfortable, open designed space. The exploration of this mutually interdependent relationship between the natural and built environments dictates the creation of architecture that has a unique unity of climate and form. 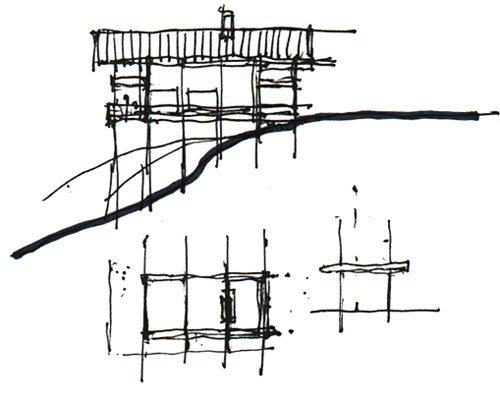 By responding to the particular qualities of each site, each project belongs to its place. “Conservation means the wise use of the earth and its resources for the lasting good of men.” – Gifford Pinchot, father of the American Conservation movement and native son of Milford, PA. Richard Pedranti Architect is committed to leadership in sustainable building practices. By incorporating Energy Performance Standards such as Passive House, we develop timeless architecture that is cost effective for our clients, light on resource consumption, and beneficial to the environment. Energy conservation is at the core of our sustainable practices and is the most economical method for maintaining our high standard of environmental stewardship. Richard Pedranti is an architect practicing sustainable residential design throughout eastern Pennsylvania and the state of New York. Richard earned his Bachelor of Science, Major in Architecture, from Pennsylvania State University in 1987 which included time abroad at the University of Florence in Italy. Pedranti went on to study at the Graduate School of Design at Harvard University selecting it because of its dedication to the doctrines of modern architecture. There he studied under some of the world’s leading modern architects receiving a Masters of Architecture in 1990. Throughout his early education, Pedranti spent summers working as a framing carpenter and drafting at regional architecture firms including Peter Forbes Associates in Boston widely respected for its residential modernism. 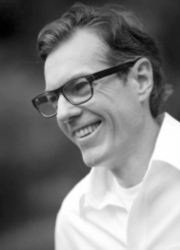 He has since served as an adjunct professor for architecture design studios at Temple University, Philadelphia University, and New York Institute of technology. His work in modern residential architecture has always been influenced by the spectacular natural beauty he experienced growing up in Milford, Pennsylvania. In the 2010s, Richard became a certified passive house consultant, and HERS rater and had 5 passive house projects underway as of fall 2014. Originally founded in Manhattan’s Meat Packing District, Richard Pedranti Architect, PC is now headquartered in Milford, home of the Pinchot Institute of Conservation and the birthplace of the American Conservation movement. 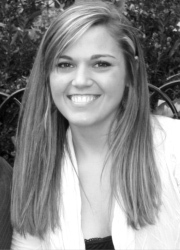 Michelle earned her Bachelor of Science in Architecture from Temple University in May, 2014. Shortly after, she was offered the opportunity to work with and also learn from her mentor, Richard Pedranti and join his efforts toward the Passive House movement. While at Temple, Michelle became increasingly intrigued by residential architecture, interior design, and photography. Her studies took her abroad to Rome, Italy during her junior year, where her appreciation for reclaiming materials and architecture deepened. Since working for Pedranti, Michelle has been exposed to the concept of Passive House and her enthusiasm to continue learning about this subject has brought her to participating in classes held by PHIUS. 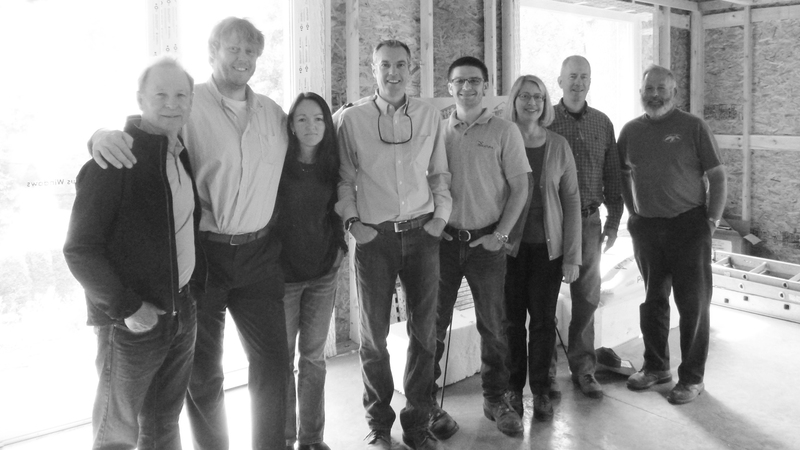 Upon completion, Michelle will be a Certified Passive House Consultant. Michelle is equally excited to be returning back to her hometown in Northeast, PA, where her passion for design originated. She also looks forward to experiencing how Passive House is being applied in her own backyard. Her future plans consist of continuing her education in graduate school, along with exploring all facets of design. Christie Karpiak, PH.D is an Associate Professor of Psychology at the University of Scranton and a clinical child psychologist. Her research interests and specialty area courses are informed by the Developmental Psychopathology perspective. This integrative perspective is characterized by attention to lifespan development, typical and atypical developmental trajectories, and contributions of “nature” and “nurture” to the development of psychological characteristics and psychiatric conditions. From this perspective, assessment and treatment ideally are based on developmental trajectories and underlying processes, not just diagnostic categories. She teaches a number of classes including abnormal child psychology, child clinical psychology, statistics using Problem-Based Learning (PBL), and integrate PBL-type case studies into abnormal and clinical psychology courses. She has also conducted research, published in Teaching of Psychology, on PBL and other aspects of university-level teaching. Dr. Declan Mulhall is a professor of physics at the University of Scranton where he teaches Quantum Mechanics, Statistical and Thermal physics, Intro to Nuclear and Particle Physics, Modern Physics and its lab, E&M lab, and General Physics courses. His research interests include theoretical nuclear physics, and quantum chaos in the nucleus. Recently he has been focussing on advanced labs, and is a member of the Advanced Laboratory Physics Association (ALPhA). He has attended ALPhA seminars on modern interferometery and nuclear magnetic resonance, and incorporates them in his modern physics labs. Dr. Mulhall is a member of the American Physics Society, and the American Association of Physics Teachers. In his spare time, he grows oriental lilies, argues about philosophy, and worries about physics. operating since 1996 that offers all-inclusive renovation and remodeling services to any residential or commercial location in the PA-NY-NJ area. Robert Ciervo owner operator is a an experienced craftsman with knowledge in all aspects of construction. Mr. Ciervo relocated to Milford PA from New York and started his company as a one man operation installing tile. Since then Ciervo & Sons has emerged into a full service company offering new construction and remodeling all aspects of the home. Specializing in kitchen and bath renovation with a full service showroom. Our company is based on the belief that our customers’ needs are of the utmost importance. Our entire team is committed to meeting those needs. As a result, a high percentage of our business is from repeat customers and referrals. We would welcome the opportunity to earn your trust and deliver you the best service in the industry. You can rely on us to provide you with top-quality contracting services every time. We enjoy being able to control the company values because we have made it our mission to provide all of our customers with premium quality renovation and repair services. Pete Vargo was born to study and practice “Building Science” and it only took him 33 years to find his passion and vocation. Having earned a Bachelor of Arts in Environmental Biology from Lycoming College in 1995, Pete went off to work in New England in the environmental field for a firm specializing in hazardous waste remediation, reclamation and recycling. Missing his family and Pennsylvania roots he eventually moved back to PA, started a small business, and also worked with his Dad, an engineer, on several projects one of which involved the need for a “High Performance Building Envelope”. Pete was instantly hooked and never looked back. He officially started off his new career in November of 2005 by taking the HERS Rater Training and later took numerous BPI trainings and completed the Passive House Consultants Training as well as many other building science related courses and seminars. In 2006 he started Nu-Tech Energy Solutions Co LLC and has been a practicing Building Performance Consulting and teaching Building Science ever since. He has taught BPI and RESNET courses for the SUNY Community College system as well as the Penn College of Technology. Pete specializes in residential, multi-family and light commercial buildings, both new and existing. He has been involved in many diverse projects over the years including affordable housing projects, historical buildings, offices, hotels, schools, multi-million dollar estates, large multi-family complexes, and even a few relatively famous people’s private homes in Manhattan and the Hamptons. Peter takes a “creative value” approach to high performance buildings and is always advocating the proper balance between performance and costs.